An immigration protestor spoiled the Fourth of July for visitors to the Statue of Liberty when she climbed the statue and refused to leave. The stunt made national attention for this personal trainer, but is the destruction of a federal enforcement agency that does a deal of good to stop trafficking of women and children, drugs, and cyber crimes really what we need? Forty-four-year-old immigrant, Therese Patricia Okoumou, climbed the base of Lady Liberty and hung out for hours on the statue’s right foot until authorities to coaxed her down and arrested her safely. Okoumou was there with a group of organizers to protest Immigration and Customs Enforcement (ICE) and immigration policies. This is the latest issue of the resistance movement. The group Rise and Resist had planned stunts at the statue, but leaders of the group say climbing the monument was not supposed to be one of them. Okoumou reportedly has a history of getting arrested for trespassing and protesting and according to the New York Post she racked up 60 fines from the city for illegally promoting her business. This protester is probably not the most sympathetic person for her cause, but she certainly got a lot of attention and the name of her group in national news sources which was probably the intent of this stunt. But is “abolish ICE” a war worth waging? So far much attention has been paid to the role ICE plays in immigration enforcement, but little is paid to the agency’s important other domestic priorities to ensure safety and security. ICE cracks down on human trafficking of women and children, pursues gangs like MS-13, investigates drugs and weapons smuggling, combats internet crime, and fights terrorism. The question for these senators and protestors is who do they think should manage this crime-fighting ICE is gone? Local law enforcement has limited resources and may not possess the expertise or time to take on these responsibilities. Calls to abolish ICE are also out of step with where most of Americans are. Some 76 percent of Americans support increasing the number of ICE officers to protect public safety and national security. Other progressive leaders are pushing back on the abolish ICE movement. I think the campaign to abolish ICE, I understand where it comes from, and I understand the community’s hatred of this law enforcement organization… but at the end of the day, as a policy goal, I don’t think abolishing ICE is realistic. I also think the argument has the effect, has the potential to push away folks who ultimately we need on our side in order to make the kinds of reforms in the way ICE behaves and in the immigration laws themselves. Immigration enforcement, whether we like it or not, is a reality. I think where we can make a difference is in how it is conducted. Scaling the Statue of Liberty is just one of the probably many other political stunts that the Left will use to undermine immigration enforcement. This is as much about politics and mobilization of voters as it is about the issue of immigration though. Americans recognize the value immigrants bring to our nation. From the economy to culture to marriage and family, we contribute to society in myriad ways. As a sovereign nation, America should both encourage legal immigration by reforming the system but also deal with illegal immigration and border security. 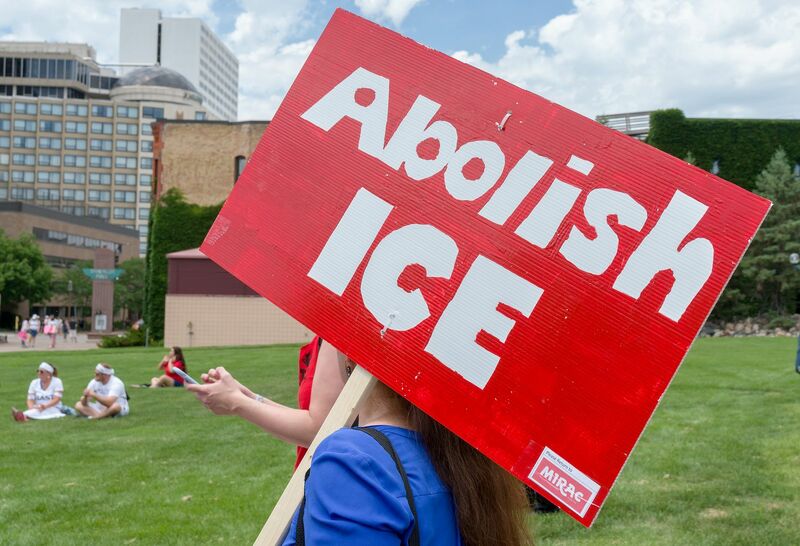 “Abolish ICE” may be an easy political slogan, but -as many on the left are admitting- is a bad policy.